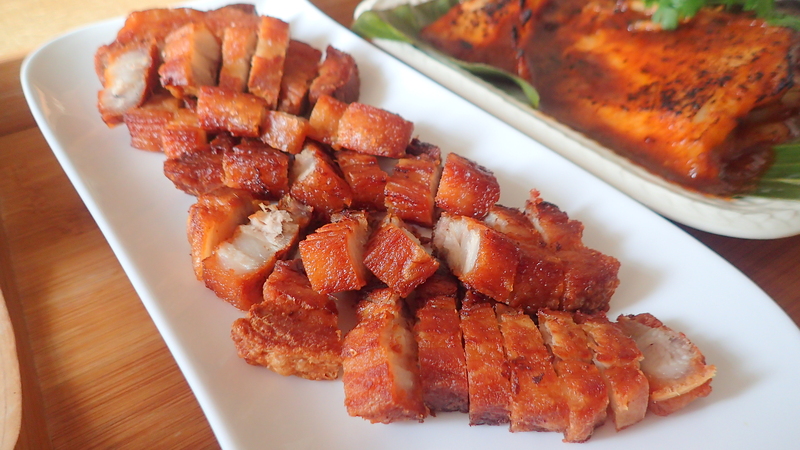 When I make this dish I always add some pork without fat because my husband do not eat fats. 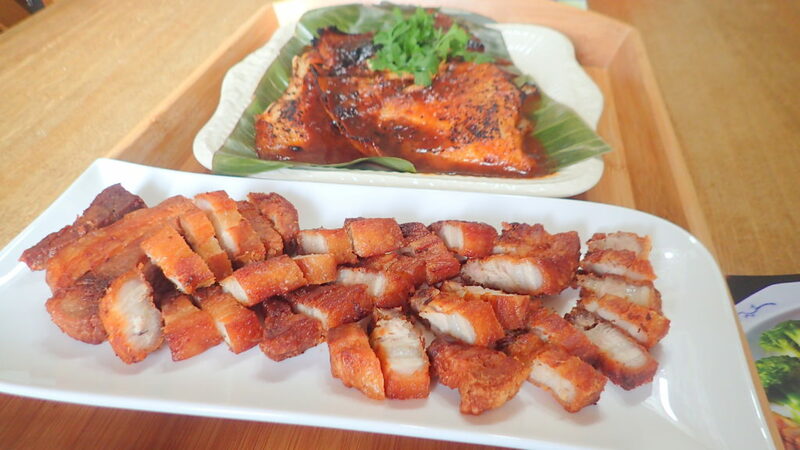 Actually I want to make The Hakka Styled Pork Belly with Szechuan Peppercorns and 5 spice but I am out of Szechuan Peppercorns so this is a ‘simplified version – Salted Pork Belly. I actually love to eat this just wrapped with fresh lettuce. You can stuff them into soft buns but that’s carbohydrates though. 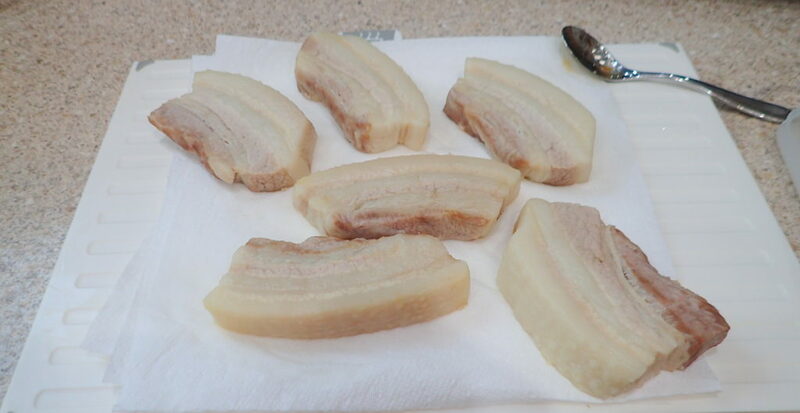 Clean the pork belly and then boil in cold water. 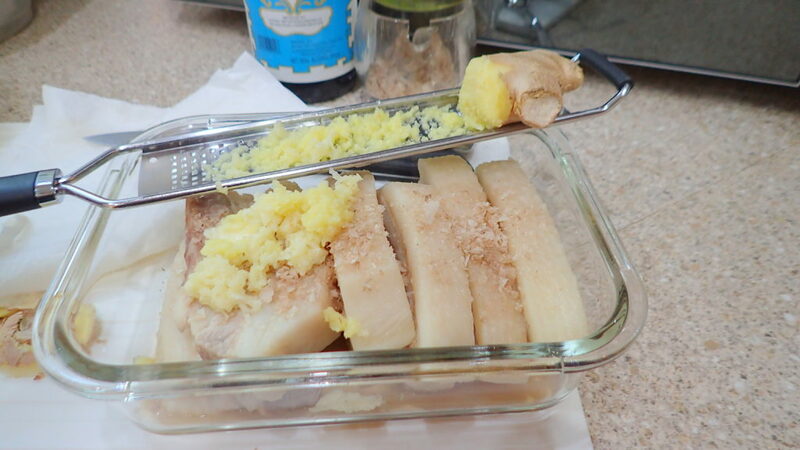 Bring to boil for 30 minutes till cooked. 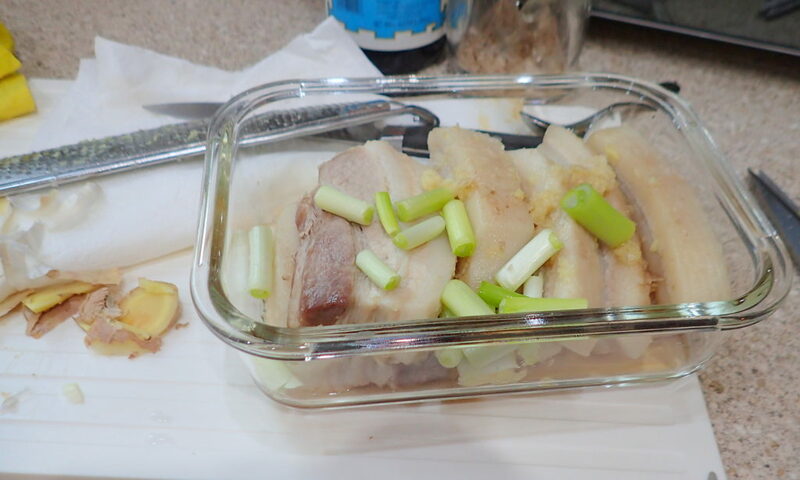 Place into a container and add the ginger, garlic, spring onions and fresh;y grated pepper. 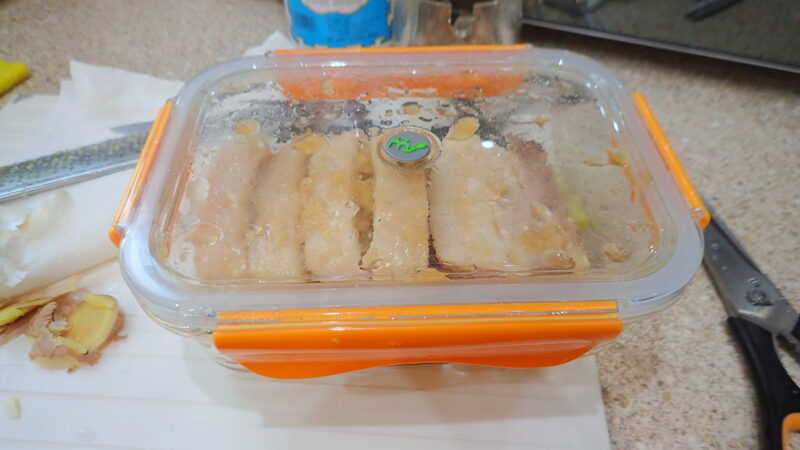 Use a tightly sealed container. 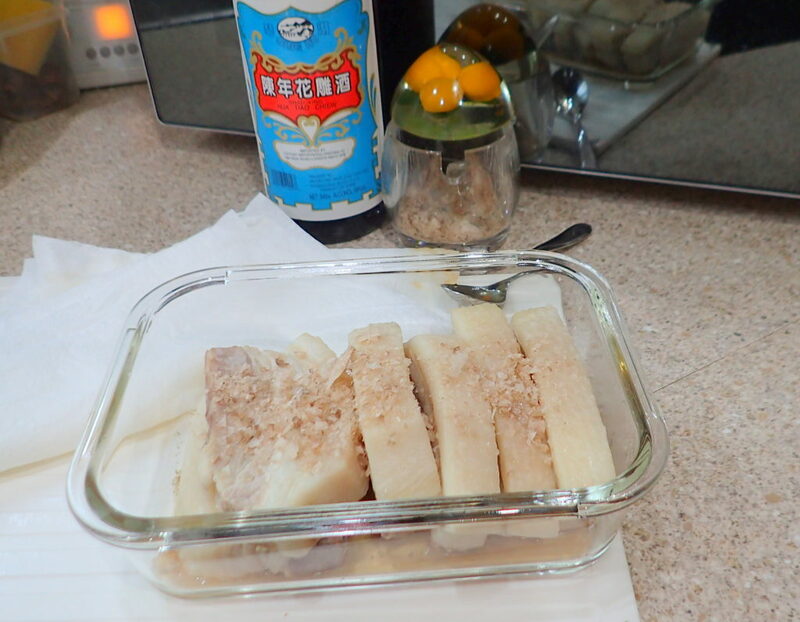 Place in the fridge for at least 48 hours. Heat a cup of oil on medium heat. 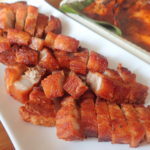 Remove the pork belly an hour before you wish to fry. 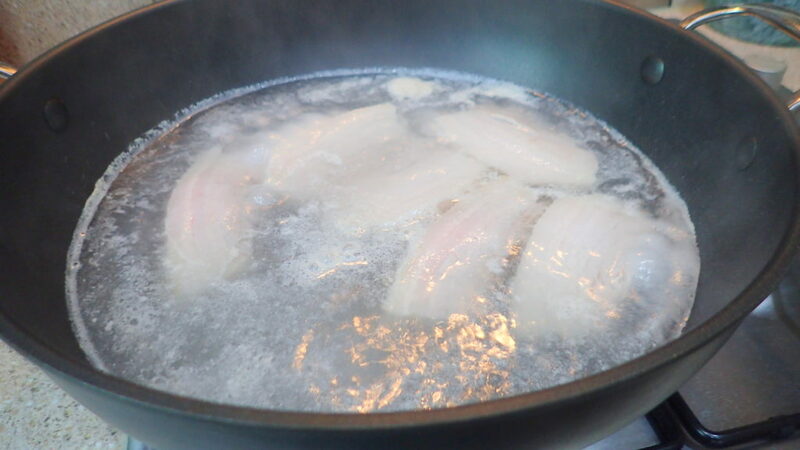 Drain and dry them before pan frying to crispy in your wok. Chop and serve. Garnish with anything of your choice. You can serve with cucumber slices, tomatoes and any herbs of your choice but as I was just eating with whisky I did not bother.